A sweet little bar. 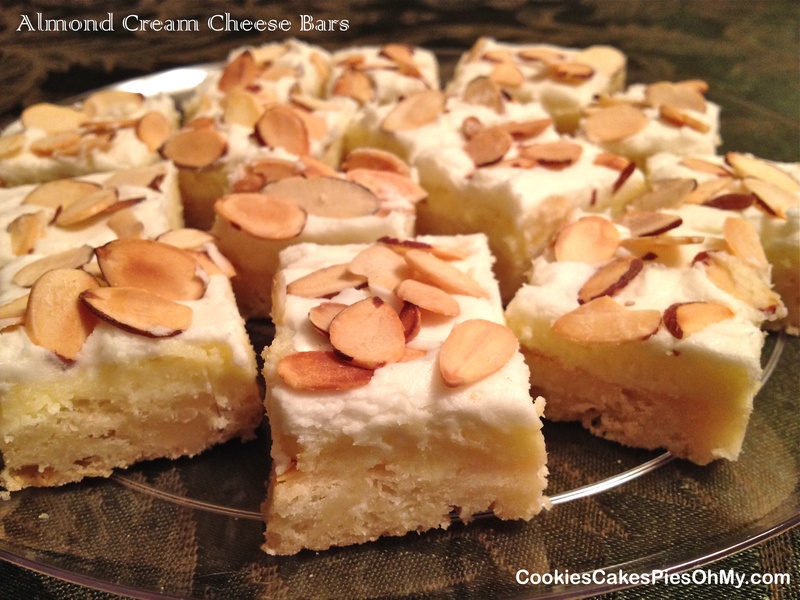 A shortbread crust, almond cream cheese filling, almond buttercream frosting and the crunch of toasted almonds on top. Yum! Recipe from cooking.com. Preheat oven to 350°. For the crust, stir together flour and powdered sugar. Cut cold butter into dry ingredients and pat into 9”x13” pan. Bake 20-22 minutes until just starts to turn golden. While crust is baking, mix up filling. 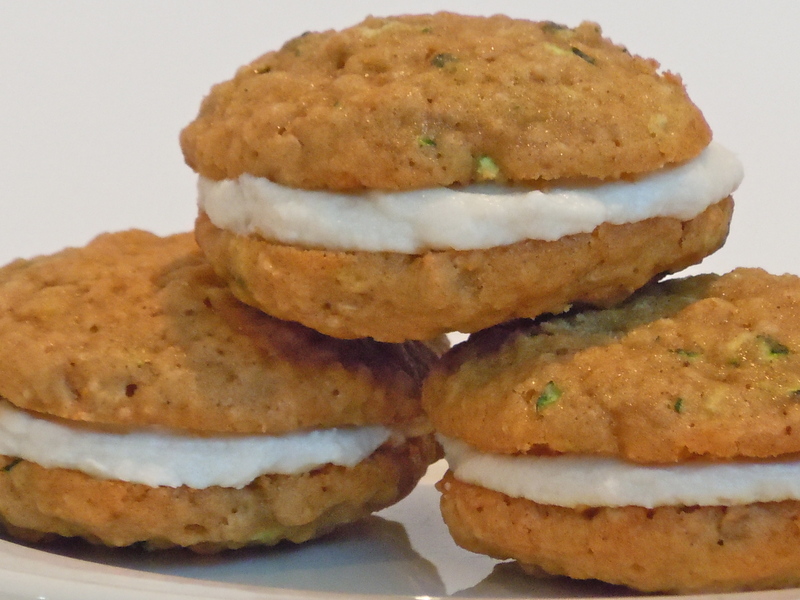 With electric mixer, mix cream cheese and sugar. Beat in eggs and almond extract. Pour over hot crust as it comes from the oven. Bake 15-18 minutes more. Cool completely. For the frosting, whip butter until creamy and light in color. 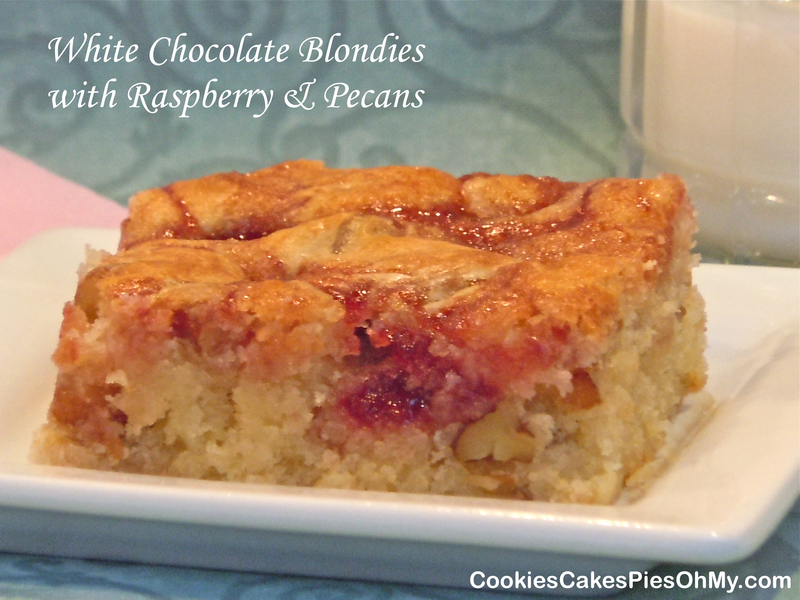 Add powdered sugar, milk, and almond extract; mix well. Spread evenly over cooled filling. 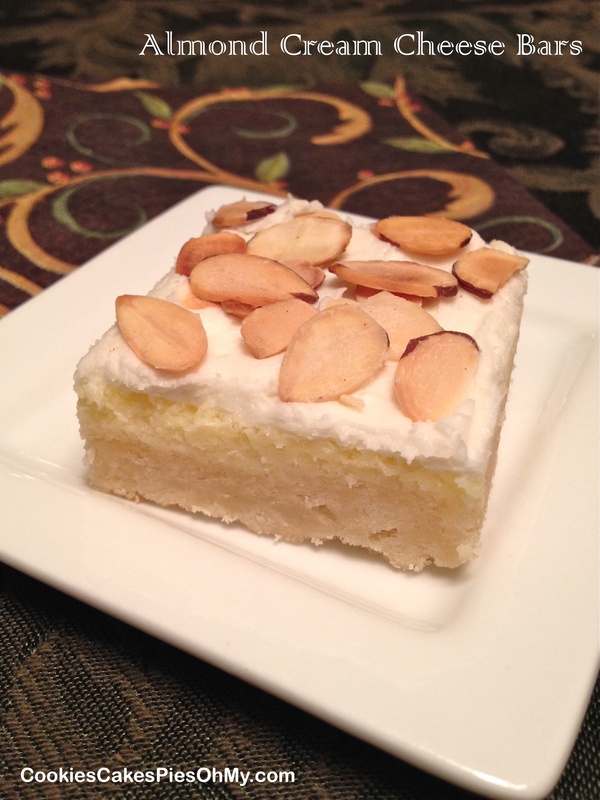 Sprinkle toasted almonds on top and gently press into frosting just a little to secure from falling off. Cut into bars.